Our Executive Sous Chef, E.J. Miller, is a graduate of Culinary Institute LeNotre. E.J. 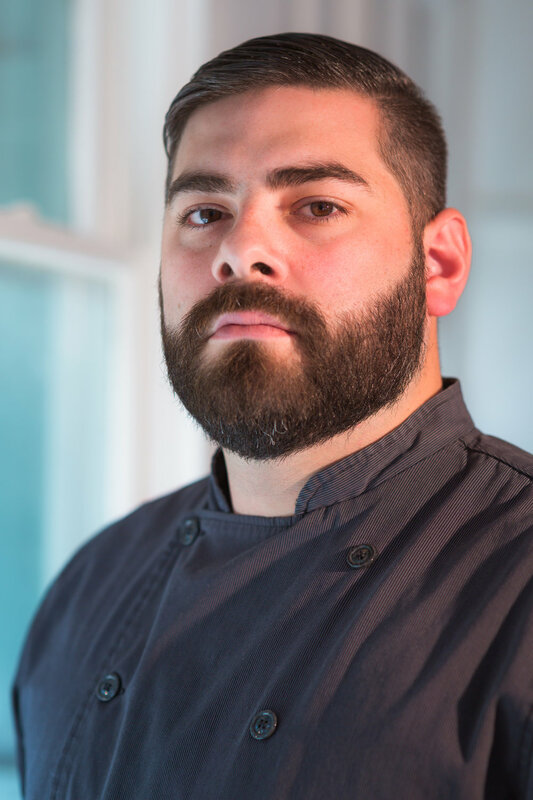 got his start in the kitchen with local restaurant group Clark Cooper Concepts, under Houston chef Brandi Key. He started as a fry cook and with her guidance and inspiration moved through the ranks to Chef de Cuisine. While with Clark Cooper Concepts, E.J. helped open Punk's Simple Southern Food, as well as SaltAir Seafood Kitchen. After SaltAir Seafood Kitchen E.J. took a position as the Executive Chef at Houston favorite Down House, a part of the Treadsack Group. While at Down House he had the opportunity to build long lasting relationships with local farmers and ranchers. When offered the opportunity to work along side Chef Ryan Lachaine at Riel, E.J. quickly accepted.